Canada’s leading provider of (DYI) Do It Yourself Solar Power Packages. Providing high quality products, and friendly solar system services. Systems designed for the homeowner looking for freedom and independence from the power companies. Alternative Power Canada systems designed to Canadians Standards Association (CSA). Designed for your family’s safety, and peace of mind. Canadian owned. Solar panel capacity perfect for raising Canadian families. Save with ready-to-install Solarwise Energy packages. Off-grid or grid-tied solar solutions. Educate Yourself Buying a system or need some helpful instruction, just curious call us anytime. Discover high-quality products and components to complete your next project. Check often we offer special seasonal pricing. Onsite and off site. Get friendly services and maintenance packages to keep your systems running optimally. Questions about your system. Looking to build Call or email. Expect fast friendly advice. Sunshine measured in units called insolation is abundant in Canada. A natural resource you should be taking the fullest advantage of. Because of its abundance. Freely given and likewise free for everyone. Energy that is non-polluting and it shows up on your doorstep every morning. Harvesting solar power in Canada is easy and above all quiet. Most importantly it is completely renewable. In the past alternative energy was expensive. Now in the last 5 years the prices have fallen. Every Canadian can now afford a solar power system at their home. Solar energy is more than ever now affordable for the growing Canadian families. In great demand solar energy also reduces our need for the fossil fuels. A non renewable energy that Canada has become so reliant on. Sunshine is an energy that is freely available nationwide. Canada Canada’s Prairies not only the sunniest. But they also offer the greatest potential of solar harvest. Our Canadian prairie are therefore a major resource of solar energy. Sunshine is an abundant but long forgotten and underutilized natural resource. Energy independence is ready for harvesting. Now that technology is available the time has come. The time is forever, more than ever the need is Now! All photovoltaic panels, are made of silica sand that is found in abundance on the ocean beaches. Converted to a semiconductor material silicon, however available to you as solar panels. March is a great month for solar panel capacity as it is cooler and still lots of sunshine reflection from the snow. Photovoltaic panels change the light from our sun directly to electrical power for your home, and also your family. An interesting fact is that the cooler the solar panels the more efficient they become. Therefore those short winter days can still provide ample solar power capable of powering your household needs. March is the month with the greatest solar panel capacity. Energy that is available to you all day and all during the winter nights. In fact solar panels are 30% more efficient at -40C. Always able and ready to charge your batteries during the short winter daylight hours. Moreover Canada a perfect country for solar panel Efficiency. Imagine a nice cold winter day, the sun is shining and your solar panels are still outside on the job. Your family is warm and cozy around the fireplace, why because the sun’s energy is already lighting up your life. The energy quietly storing itself away in the batteries, after all their job is to to light up your home come night time. Knowing that Canada is always bathed by an abundance of home energy are you enjoying family time to the fullest? Therefore Canadians are truly blessed. Canada the time is NOW! We’re here to help? Are you need of a solar power solution for your new home and lifestyle? Alternatively do you want some expert advice Solarwyse takes a no-pressure and friendly approach to serving our valued customers. Not only is it how we’ve built our reputation but how we provide our solar services . One of Canada’s most trusted solar power suppliers, because we are always ready to happy assist in lighting up your family homes. Assist in helping you bring the free solar energy into your homes and lifestyles, also bringing the same enjoyment our off grid home provides us. Solar Power advantages designed specifically for you and your enjoyment of energy freedom. We enjoy sharing our knowledge with you, also you can share the sun with us. We will not sell until we fully understand your needs and expectations. Quality solar system components from trusted and proven suppliers and also delivered to you. If it is made in Canada that will be our first choice of reliable solar products, secondly it must meet Canadian safety standards. From our solar power home to yours, solar services provided to you and all our years of electrical and electronic experience to share. All at your fingertips, only a phone call away. Call us, and enjoy your freedom from another monthly bill. Manufacturing of solar modules lately has been hyping up efficiencies. But at what cost both environmental and momentary? Additives to the silicon substructure can be hazardous to our environment. Others can add to the manufacturing costs. Efficiency of solar modules range from 12 to 20%, what does this mean. The sun baths the earth in 1000 watts of energy ever square meter on the earth surface. Collecting enough energy for your home means that the panels must have a larger surface area. Solar panels sizes are somewhat uniform between suppliers. Thus the Solar Panel conversion efficiency is not a huge factor in solar panel Efficiency. Monocrystalline or polycrystalline are the most common solar panel you will encounter. What’s the difference? The monocrystalline were the first to developed modules. They have a higher low light conversion efficiency. Yet they are more expensive to produce. Polycrystalline now the most common panel available and the easiest and least expensive. Solar module construction should not be a huge factor in panel selection. The conversion efficiencies verses availability and pricing will not affect system performance. Questions are your greatest source of education. We have been customers of Solarwyse since 2009. Larry has educated us, hand held, and helped up realize all our off grid power solutions. He started helping us design a system in 2008, but it soon became clear that we needed to know ourselves and our electricity needs better. He educated us, and we took some time to analyse our power habits. In 2009 we went back to Larry with firm goals, and he has helped us meet every desire. He is honest to a fault. If he thought we had unreal expectations, he told us. With his guidance, we have a dream system. It fully meets our needs, we are off grid, we don’t need a generator, and best of all he worked with us to help keep costs manageable – so no debt either. Larry is always ready to share his knowledge and experience. He takes great care to see that customers are satisfied. We have had 2 instances where something in the system needed attention. He was always available to help diagnose the problem, and calls 2 or 3 times a day until he was sure everything was working properly, and that we are fully satisfied. Just last month he helped us trouble shoot some battery charging issues for another installation, that he was not involved in setting up. There just aren’t better people than Larry and his wife. Leading Canadians to Energy Freedom. Founded in 2005, Solarwyse provides high-quality energy solutions. Solutions designed for life in Canada. Our renewable energy products are selected to withstand harsher Canadian climates. Selected to provide year-round reliable and affordable natural power in Canada. Delivered to families from coast to coast to coast. Plus, we’re friendly! Living off-grid doesn’t mean giving up modern conveniences, it however does provide more freedom. Solar power packages for your home, cabin, cottage, RV, and campers, and all designed for reliability. Reliable solutions that save dollars, but mostly freeing up your month end pay check. Easy, quick and simple to install yourself. Discover what it’s like to have true energy freedom, also along with a modern lifestyle. Be your own electrical provider. Solarwsye launched in 2005, founder Larry “The Solarwyse Guy” decided to live off-grid. The first winter he saw his utility costs reduced below $1,000 per year. Therefore Larry knew other Canadians would want to benefit from renewable power. The Sun’s energy can be harvested. — from Inuvik, to Cape Breton, to Winnipeg, to Vancouver Island. 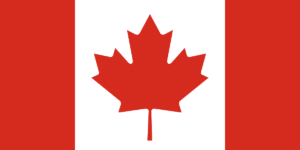 Solarwyse is proud to be a Canadian owned & operated company based in Beaverlodge, Alberta. Therefore selecting panels, alternative energy, empowering families nationwide. Solar power kits selected most importantly for service in the Canadian climate. Supplying brand named products, CSA certified Solar packages, besides informed friendly Solar Services. Solar panels efficiency specifically selected, to power your home and cottages. We are the best solar power specialists for you? Providing freely given power to Canadians not only, offering timely help over the phone, and but also working with your electrician. SOLARWYSE has supplied easy to install packages in Nova Scotia, Whitehorse and Vancouver Island. Solar Power Canada wide, for your home, also your cottage or Recreational camper. Power solutions, home energy packages, along with high solar panel capacity we sell to you only if it meets your needs and desires. Solar products most importantly from known suppliers also giving preference for Canadian made components. Forty years of working experience in the electronics trade as an Electronic Engineering Technologist. Established in 2015, SOLARWYSE is a Canadian Trade Mark. A growing company, finding solar solutions for Canadians nationwide. Power System for Canadians a great place to buy a solar power package of your own at a competitive price.